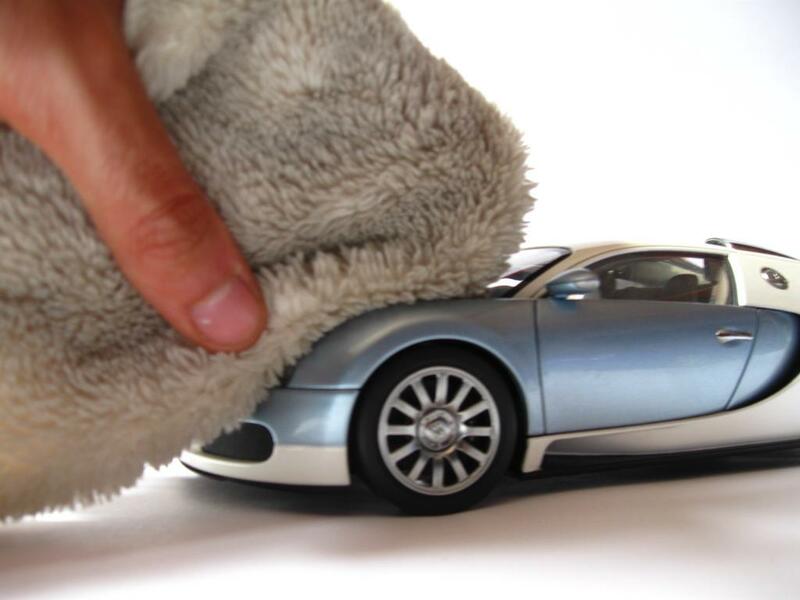 You can properly and thoroughly clean a diecast in less than 5 minutes. An extensive cleaning will be sufficient for a couple of months during which a simple dusting will be more than enough. Then you do another thorough clean and you’re good to go again. First off start with the fluffy cloth. Forgive that it’s not very clean but after cleaning models countless of times it has gotten to it. It’s still very effective though so it’s well worth the few bucks on it. Just gently slide it on the model. You don’t need to press at all. All the fluff it’s doing its job getting to all the nooks and crannies of the model. On the next picture you can see the effect. 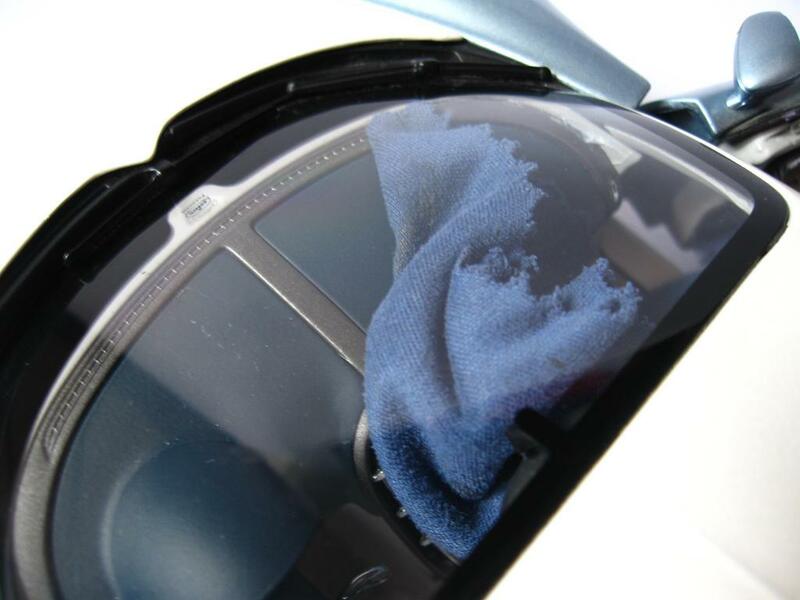 Not surprisingly the cloth for glasses is ideal for cleaning the windows of the model. And, as a matter of fact, fingerprints from the entire model. Here we clean a greasy, nasty fingerprint on the windshield in a couple of seconds. First exhale some air on the windshield just as you would do if you’re cleaning your glasses. Now gently rub the plastic with the cloth. Done. A great, clean windshield with no fingerprints whatsoever. But, as you’ve maybe noticed, the dash is very dusty. We’ll take care of that too. 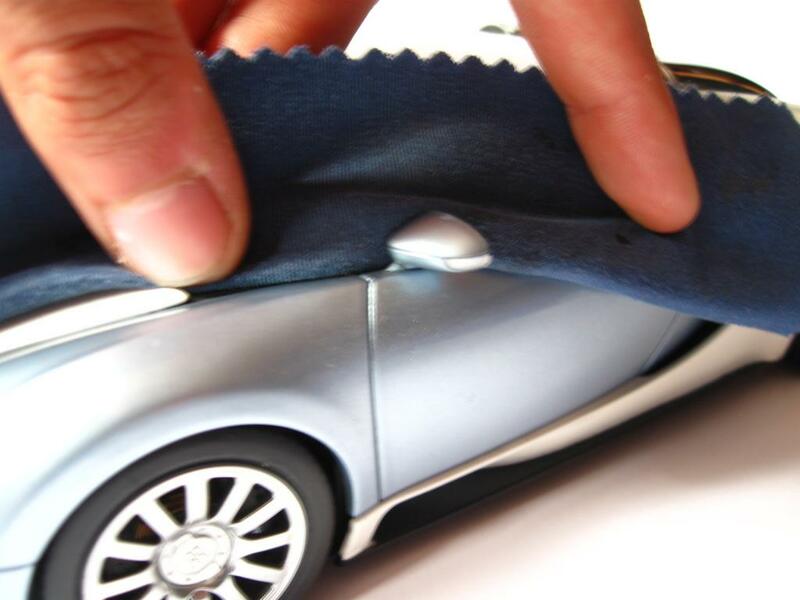 Open the doors of the model and just pack the cloth in. Be gentle though. You don’t want to snap the rearview mirror off. Slowly move the cloth to pick up as much dust as possible. You could clean the windshield from the inner side while you’re at it. You’d be surprised by how dirty it is even though it doesn’t seem like it. If you’ve removed all the dust from the dash, great. 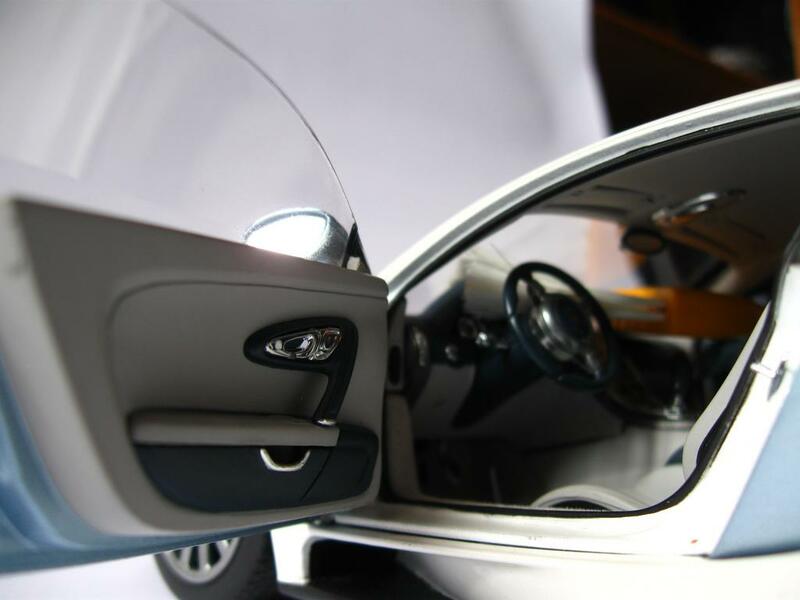 But, as you can see, the AutoART Bugatti Veyron’s tight spaces left some dust. We will get to them with the brush. If you have a smaller brush than our example here it’ll be even easier for you. Right, that’s done. Now blow some air with your mouth through the interior and voila. A perfect clean dash. 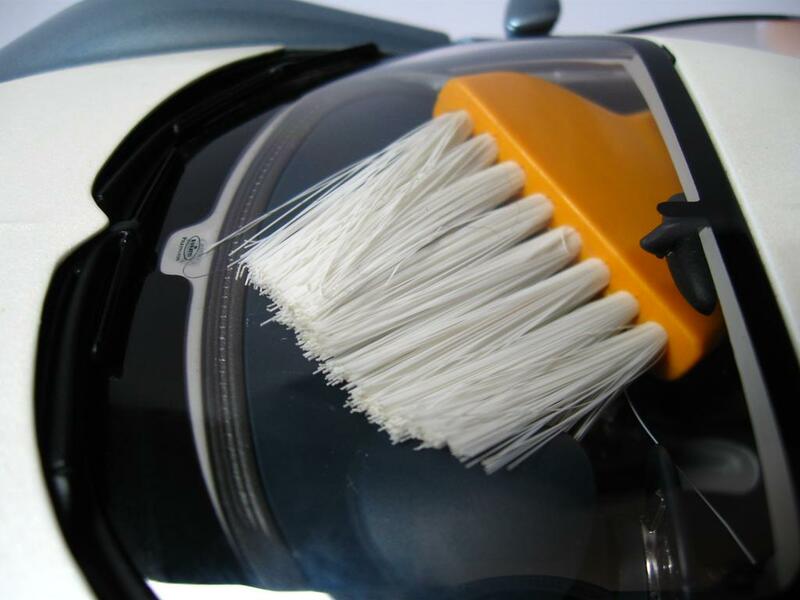 You can use the same principle for the rest of the interior to clean it. And the engine bay for that matter. Next Check out the talking stuffed Volk from Nu, Pogodi!